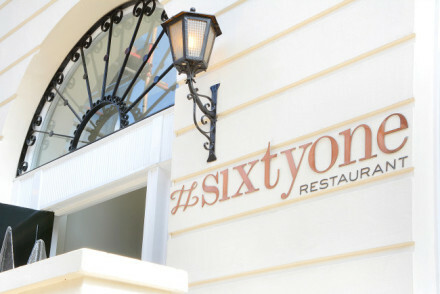 Having joined The Gainsborough Bath Spa as Head Chef at the start of 2016, Dan Moon has enhanced its position as one of the most popular eateries in the city of Bath transforming the face of fine dining in the world-famous spa town with his ever-developing menus and dishes which delight the senses. 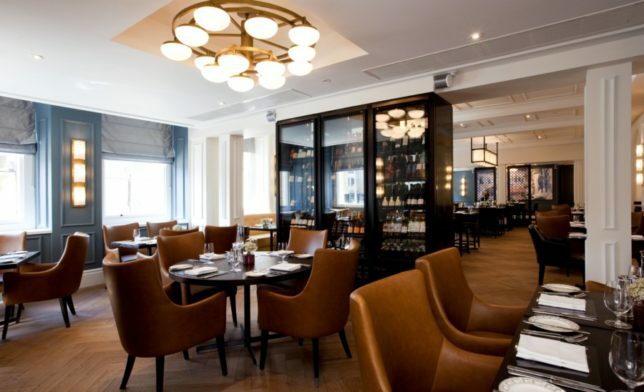 Having received an extraordinary response from the local community and further afield and in recognition of his culinary flair and soaring popularity in the local area,‘Dan Moon At The Gainsborough Restaurant’ was unveiled in July 2017 as the re-launched hotel restaurant in honour of its brilliant Head Chef. 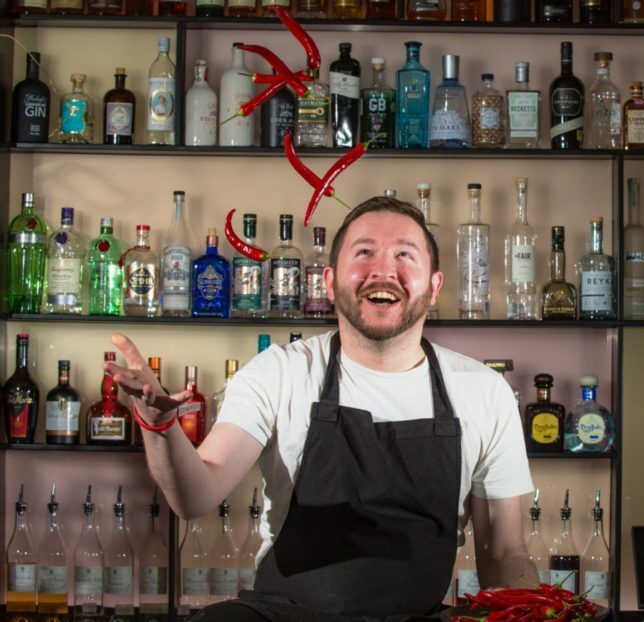 With a focus on pioneering cooking techniques and theatrical presentation, Dan’s dishes are so much more than just an experience for the taste buds, and reflect his position as a trailblazer on the modern British culinary scene. 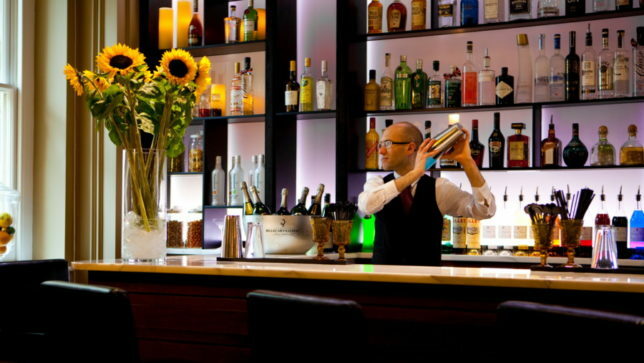 Dan’s passion for the all-encompassing experience of dining out is at the very heart of the restaurant. 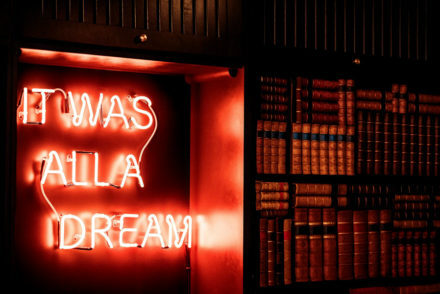 A highly creative chef, Dan considers every plate to be a canvas upon which he paints a picture for the diner. Every micro-blossom and dash of sauce has a ‘flavour purpose’ in addition to its visual effect; every element of every dish is painstakingly developed and tested to ensure a cohesive whole. 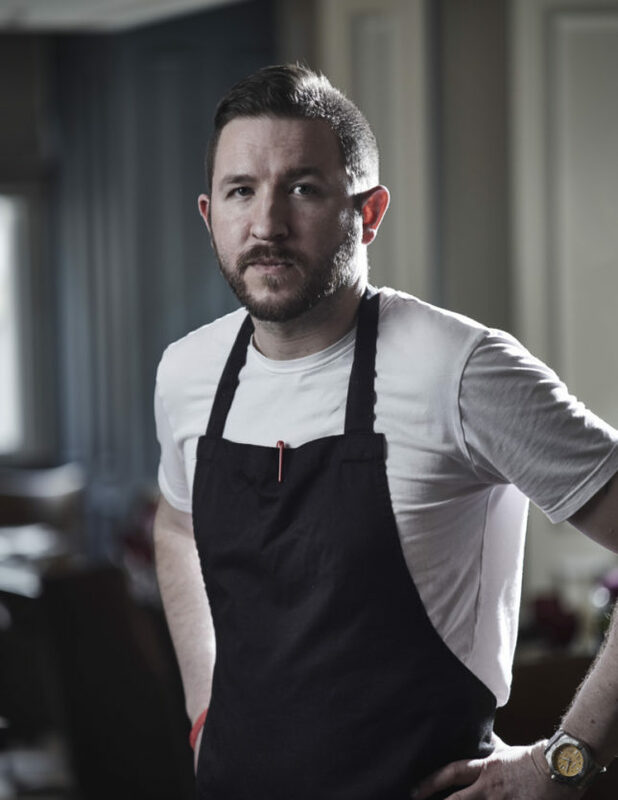 Cuisine having been his passion since from a young age, Dan is West Country born and bred, with Bath being the city where he has truly made a name for himself. Dan is a huge supporter of local farmers and produce, and sources his fresh ingredients making the most of the South West’s verdant pastures. 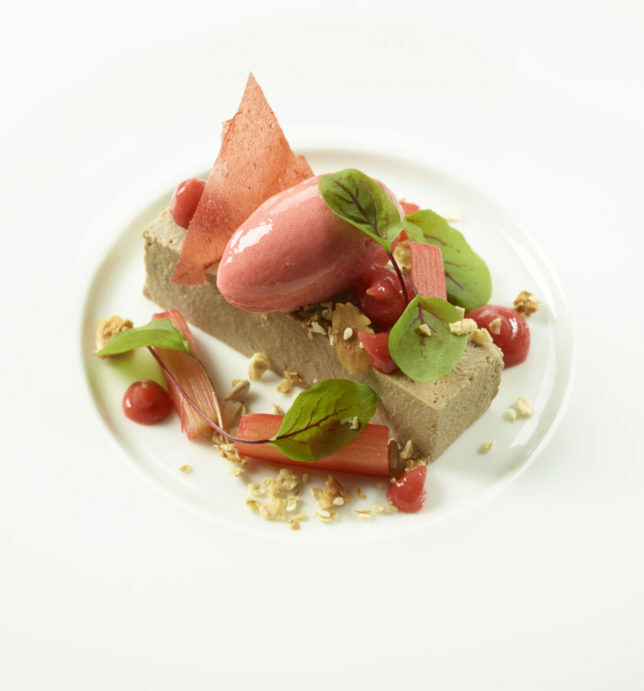 Taking inspiration from the desire to constantly innovate, and his upbringing in the lush and blossoming countryside of Devon, many of Dan’s dishes feature micro-cresses, blossoms and flowers. From blue borage flowers to oyster leaves, every single dish is accented with one of Dan’s very special touches. 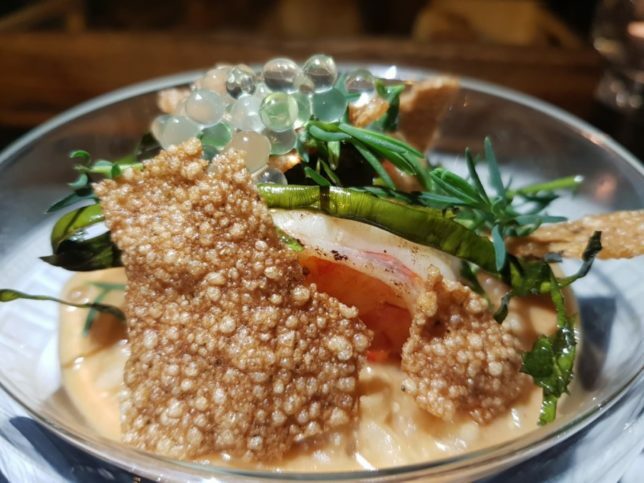 To do this, Dan maintains strong relationships with all local suppliers and includes them in menu development discussions, demonstrating his all-encompassing dedication to his dishes right from the first inception of the ingredients to the final dramatic flourish on the plate. 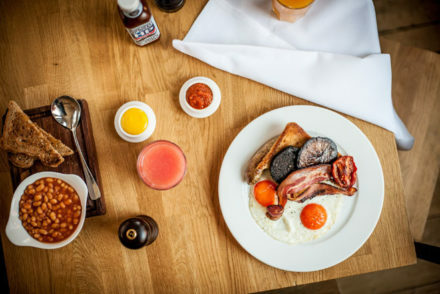 Having previously won the coveted 3 AA Rosettes and The Caterer’s Acorn Award, along with the Bath Life Award for Restaurant of the Year in 2009 during his time at Homewood Park Hotel, Dan continues to amaze with his impressive achievements and recognition across the industry. 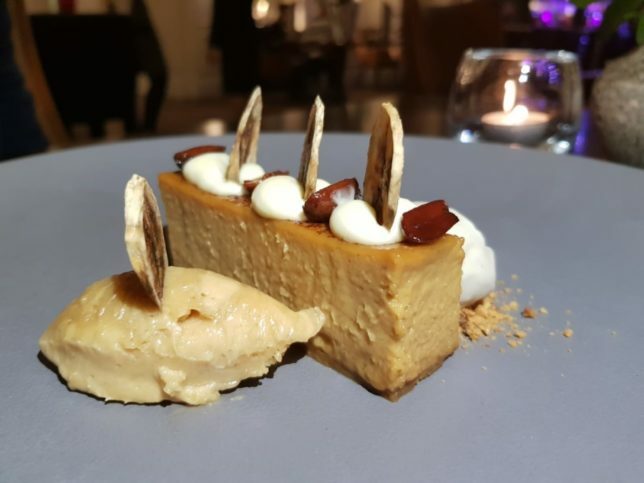 Dan is consistently pushing culinary boundaries and surprising patrons of the restaurant with his extraordinary combinations, bringing The Gainsborough Restaurant plaudits as so much more than a hotel restaurant. 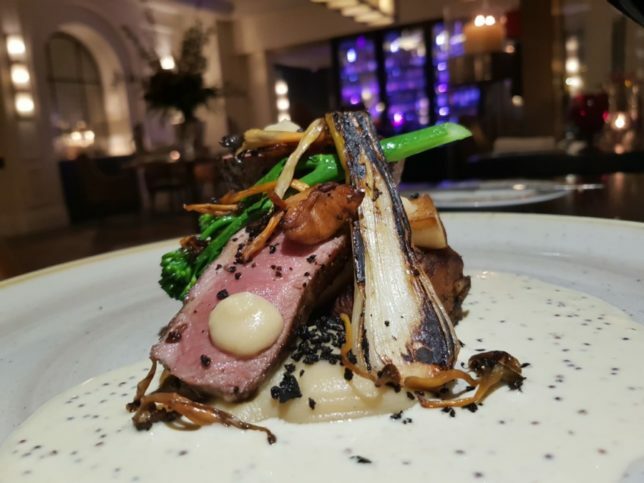 Dan aims to constantly inspire and innovate, always using the best locally sourced produce to create stunning dishes, which are just as beautifully presented as they are flavoured. 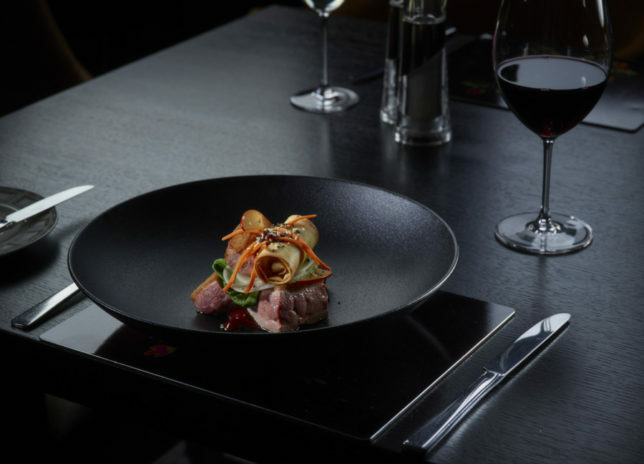 Known for his reputation, skill and enthusiasm, award-winning chef Dan Moon has an ethos and attitude to fine dining that fits perfectly with The Gainsborough’s position as one of the region’s iconic restaurants. 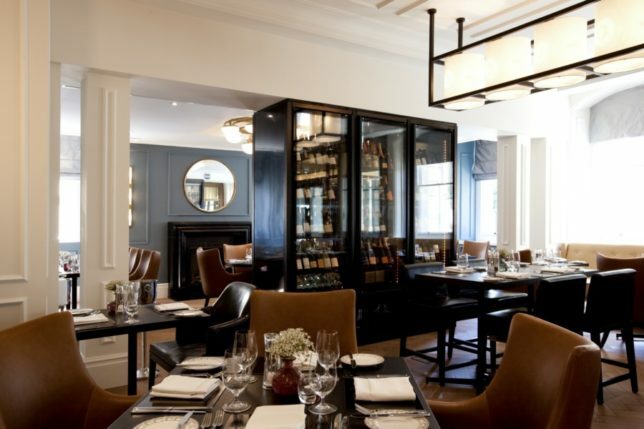 Dan has crafted a number of delicious menus to suit any occasion, meaning diners can return time and again to expect a totally different culinary experience at this fabulous Bath restaurant. It’s often said that you can tell how a meal is going to be just from the very first course which is normally the bread option. The selection of bread at Dan Moon’s restaurant did not disappoint. Not only did you have interesting bread flavours but the butters paired with them ranged from sea salt to tomato… and my favourite, the black garlic. 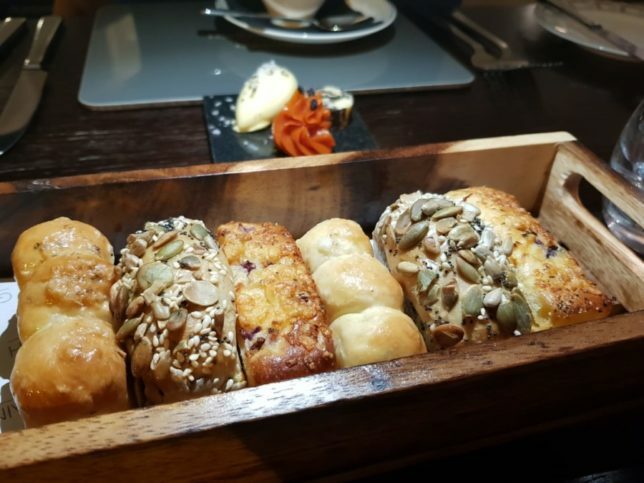 The only thing wrong with the bread was that it was so moreish, you would be wise to refrain from indulging too much as to not spoil what was coming next! 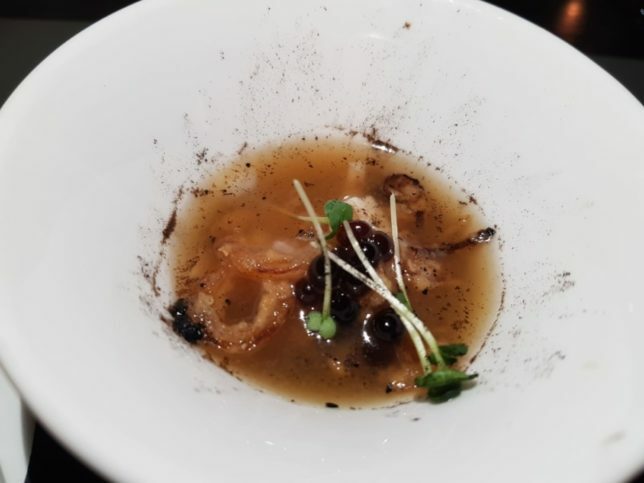 The amuse-bouche was beautifully presented, a nice chicken tea with onions, black caviar and cress – a perfect way to whet your appetite. To start I chose the scallops which came with seafood risotto and a yuzu explosion of flavour with delicately balanced on the top. This dish is a must for any seafood lover. The combination of textures are a delight to the palate. My dining companion chose the chicken liver parfait. Again beautifully presented and delightfully tasty. 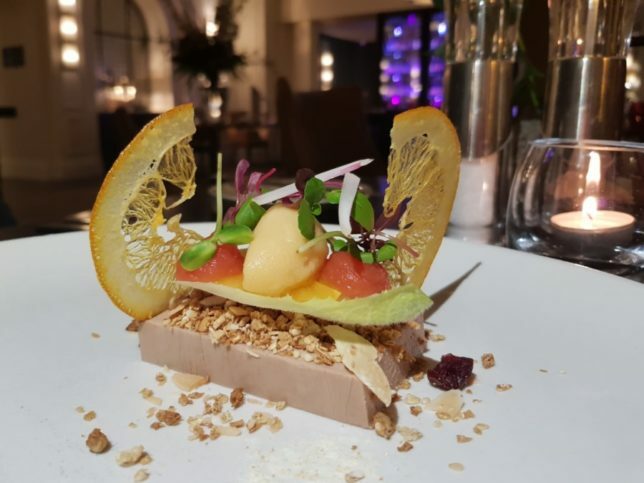 We would recommend perhaps ordering some extra bread if you’re looking to fully enjoy the parfait in a more traditional way. The mains did not disappoint. There was so much choice however the lamb which came from the Mendip Hills is highly recommended and was cooked beautifully medium rare. 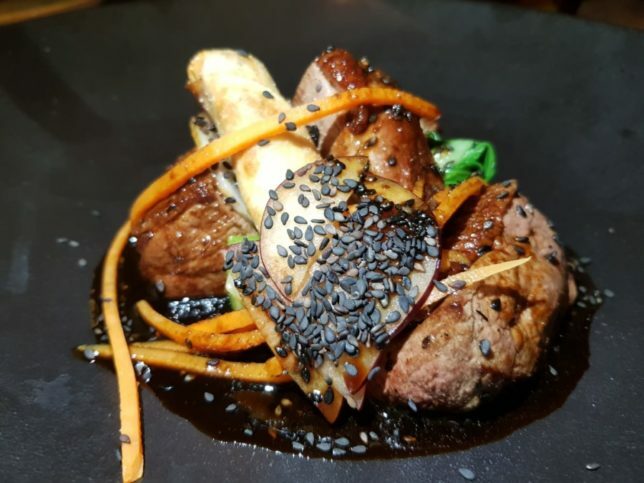 There are dishes for vegetarians and pescatarians alike but those who like Asian influences must try the Duck which was a delightful presentation of Confit Leg Spring Roll, Plum Purée and Sesame. For dessert, there was a good selection. 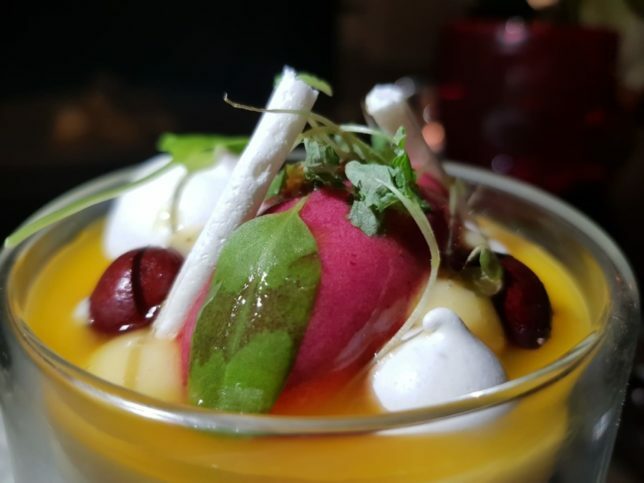 We chose the lemon posset which was delightfully fresh with an interesting crunch from the meringue and a perfect way to end a carnivorous meal. We also chose the salted caramel cheesecake which was paired with banana. A classic combination but perhaps not to everybody’s liking!